Come & see us at SALTEX - Mark Harrod Ltd. 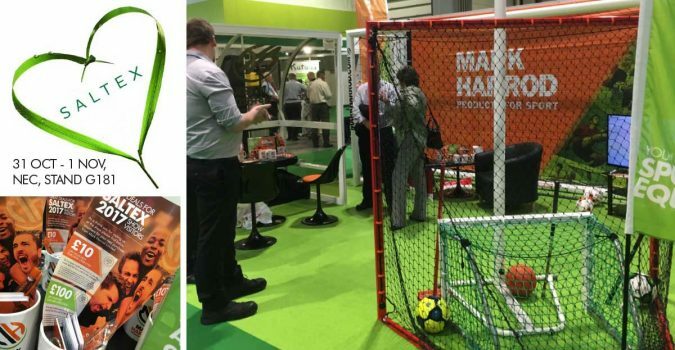 Here at Mark Harrod Ltd we are busy getting ourselves ready to exhibit at the IOG SALTEX show which will be held from 31 October to 1 November at Birmingham’s NEC. We will be there in a new location on stand G181 with a small selection of our latest product range and our expert team, who will be on hand to give you advice on sports equipment and showcase some of our latest products.. Come and see us, pick-up our latest catalogue and take advantage of our ‘SALTEX only’ special offers. We will have competitions and a special discount offer available only to visitors to our stand.